Need a classy way to hide what some would consider a nasty habit? Our Newark Decorative Ash Receptacle is an attractive way to deal with cigarette ash and butts. Built from black powder coated galvanized steel for long lasting outdoor use. 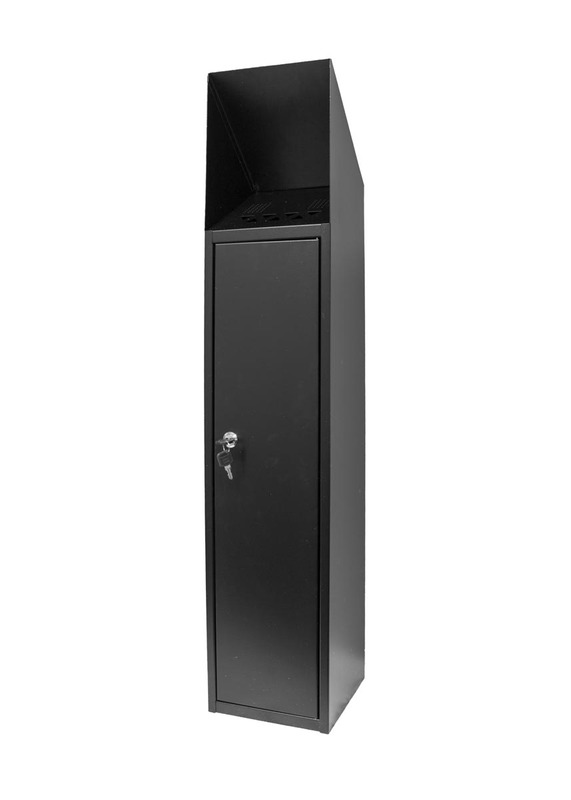 Locking door contains a removable trash bin for easy cleaning. Dimensions: 8" x 39-1/2" x 8"